I'm so enjoying this new die from our Holiday Mini! It's called "For You" and you can order it now since our Mini is live and is good through December 31,2017. My cards are negative/positive of the die and the background pattern papers are retired (but I have so dog-gone much of it). 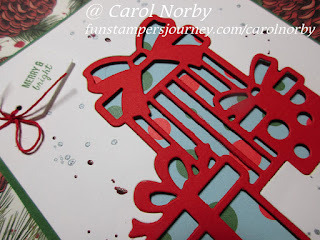 Our Christmas Cheer Prints would work wonderfully but I don't have that paper pack yet. 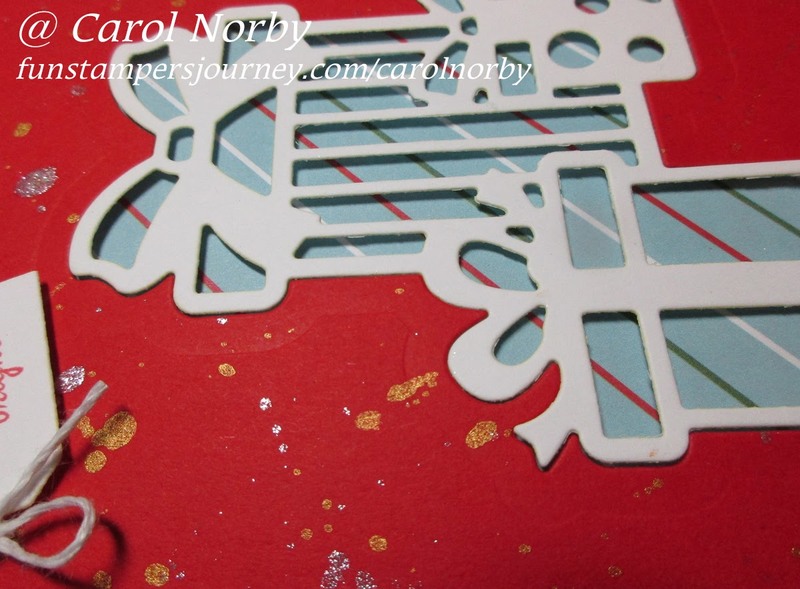 I die cut the Candy Apple and Whip Cream card stocks with the die. I flicked Silver and Gold Silks on the Candy Apple piece and Silver and Cranberry Bliss Silks on the Whip Cream. 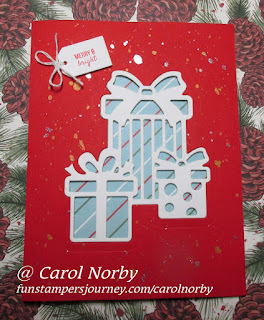 I also die cut the middle sized tag from the die set on Whip Cream and stamped the text from our Tag Elements ATS in Candy Apple and Kiwi Slice inks. I tied bows using Whip Cream Thread and Candy Apple Twine before using Foam Squares to adhere in place. I adhered the pattern paper directly to my Whip Cream folded card base then used Foam Squares to adhere the card front and die cuts. I think these turned out really cool! What do you think?